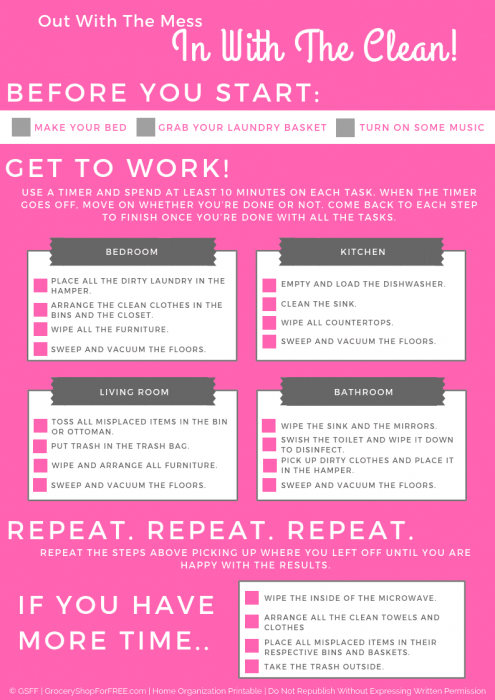 You are here: Home / Instagram / 9 Home Organization Tips! 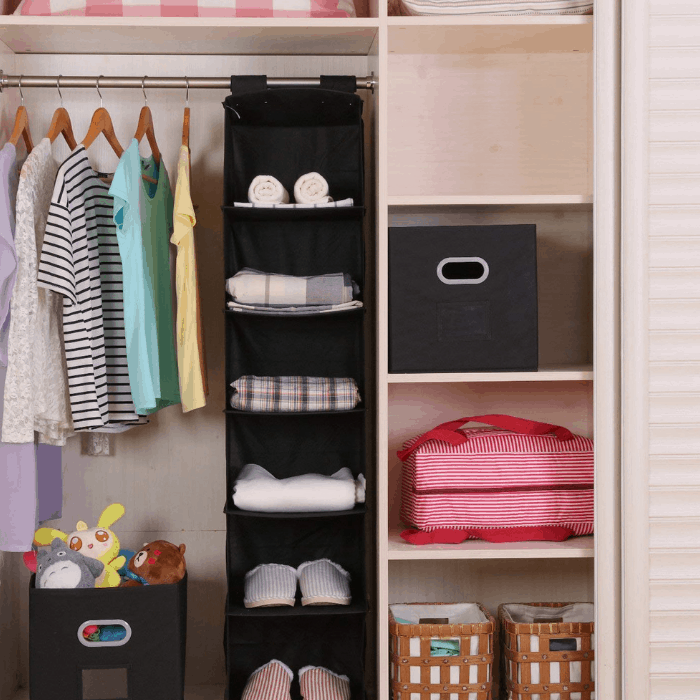 Are you in need of some Home Organization Tips? Can you still remember the last time when you opened your dresser drawer and found your favorite pair of jeans right where you left them? If you find yourself searching for your keys, phone, shoes or a pair of socks as a part of your everyday morning ritual, this is the time to break the cycle. Organization is the key to having a more relaxed and peaceful life. When you’re not frantically searching for missing items, life goes much smoother and believe it or not you more time on your hands! lol A lot of us have accumulated a lot of stuff. You might not have noticed it, but, it piles up really fast. Keep your stuff and your life in order. 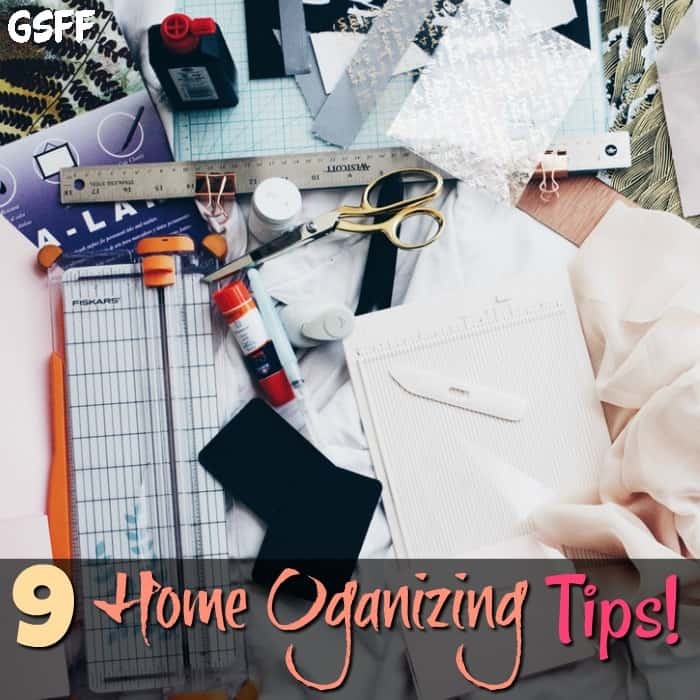 Anyone can enjoy and maintain an organized home. It just takes a little bit of effort and a stronger sense of commitment. Also, it’s much easier to teach your kids from a young age and they’ll be glad you did. 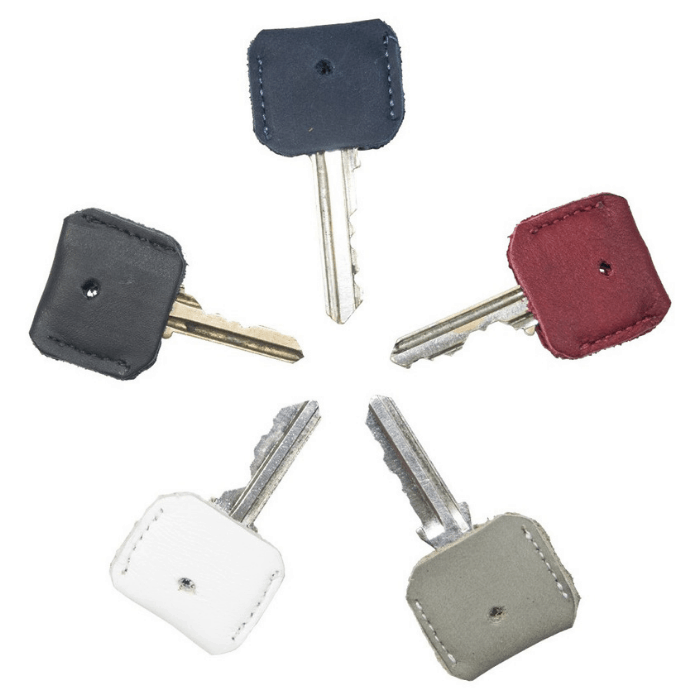 Say goodbye to the morning rush, trying to remember the last place you saw your keys, and the closet that has way too much stuff in it you never wear and don’t need! There’s always a solution. 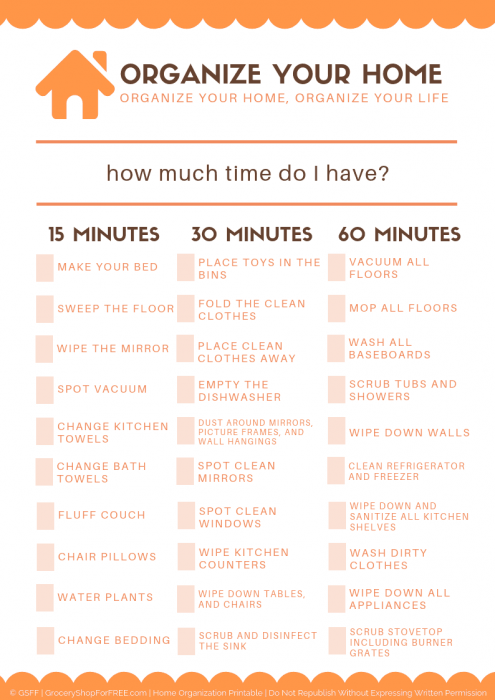 We’ve gathered a list of the things that will help keep your home neat and organized. 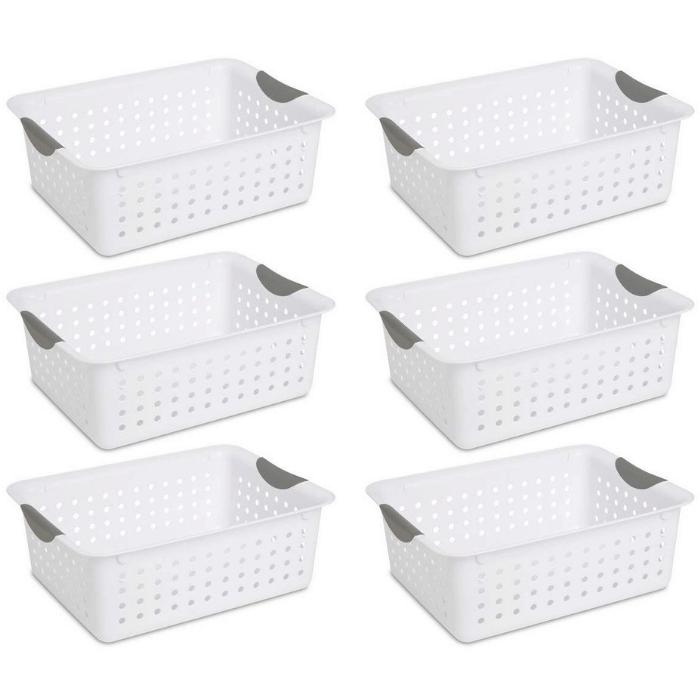 These plastic storage bins come in different sizes, shapes, and colors. 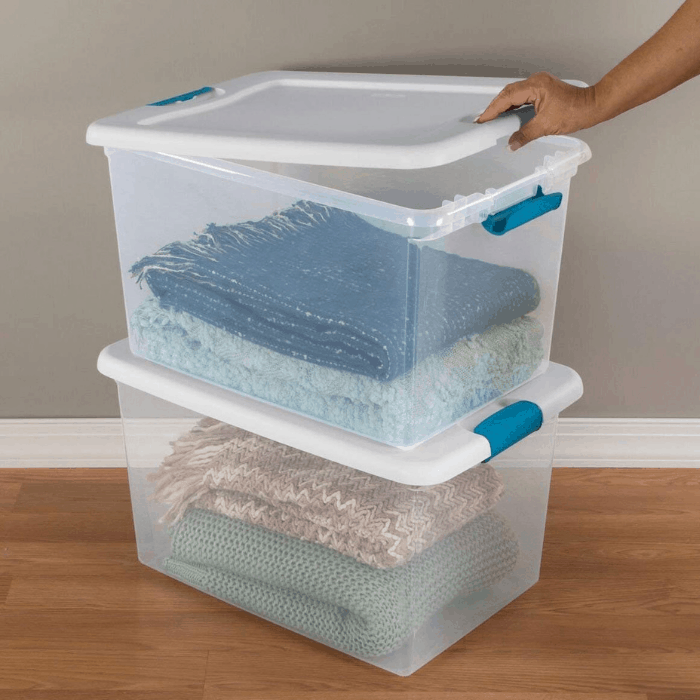 From narrow shoebox-style bins that you can use to organize your bathroom supplies to under-the-bed boxes for your seasonal clothes to oversized bins for your linens, quilts, and comforters, there is always something that you can use to store your stuff. 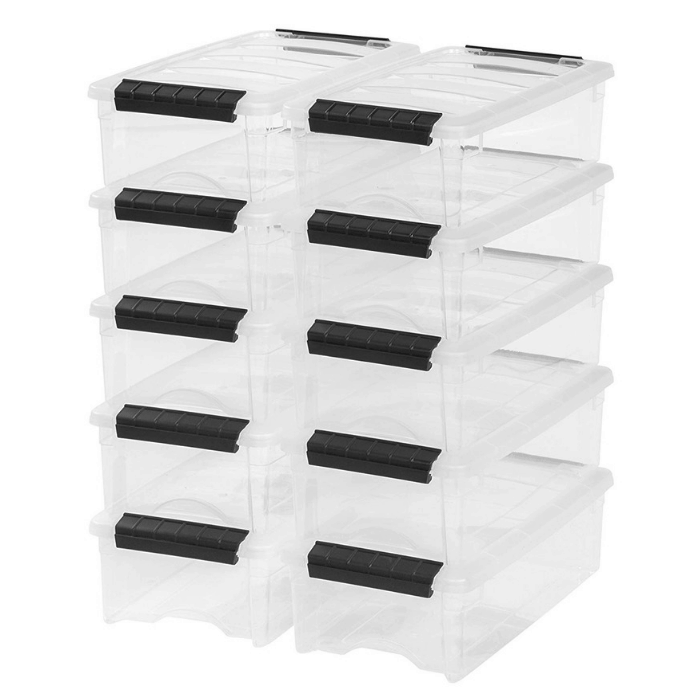 These plastic storage bins are made for stacking. 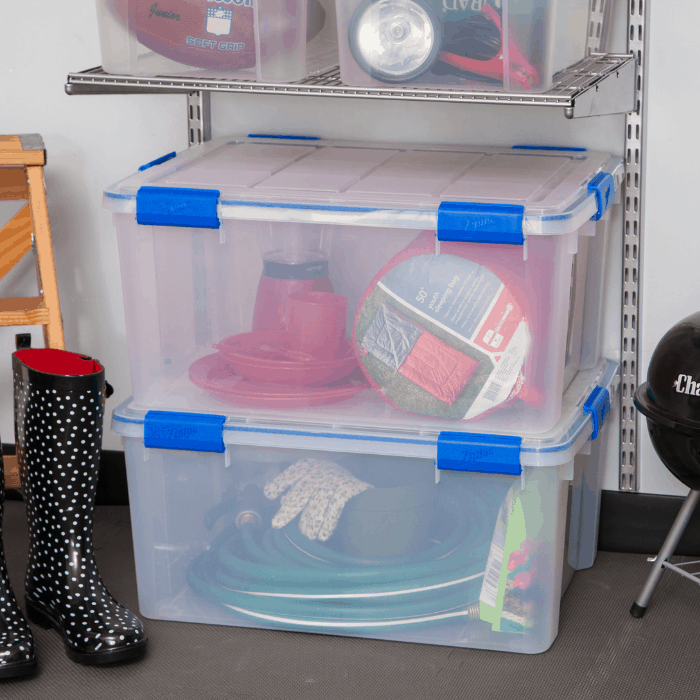 They’re sturdy and won’t budge, even if you stack three to four storage bins. 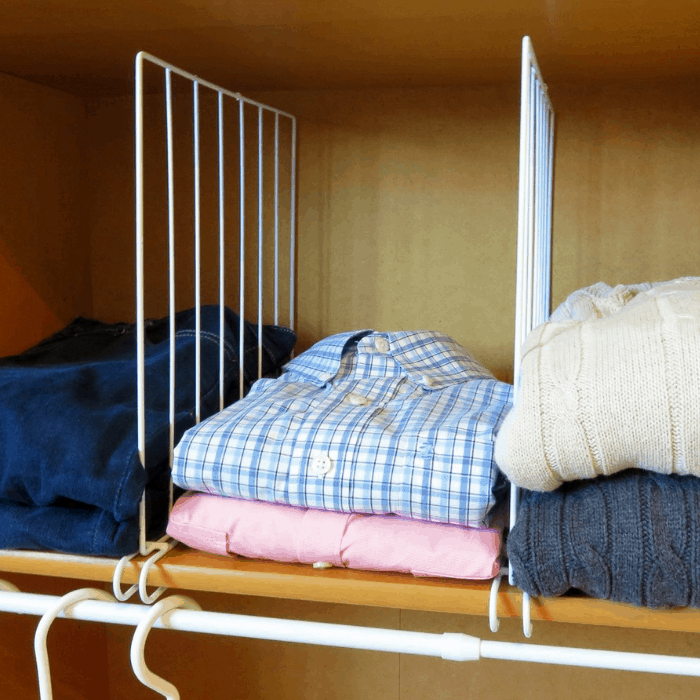 Store anything with a vertical hanging closet organizer. 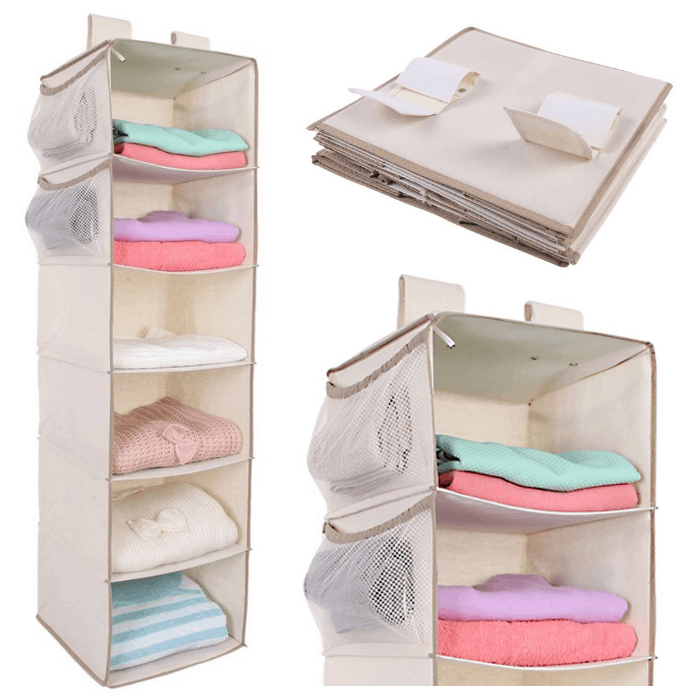 From shirts to purses, sweaters to hats, you can also use these closet organizers in your craft room, hallway, or utility closets to store your paper towels, cleaning supplies, or craft items. 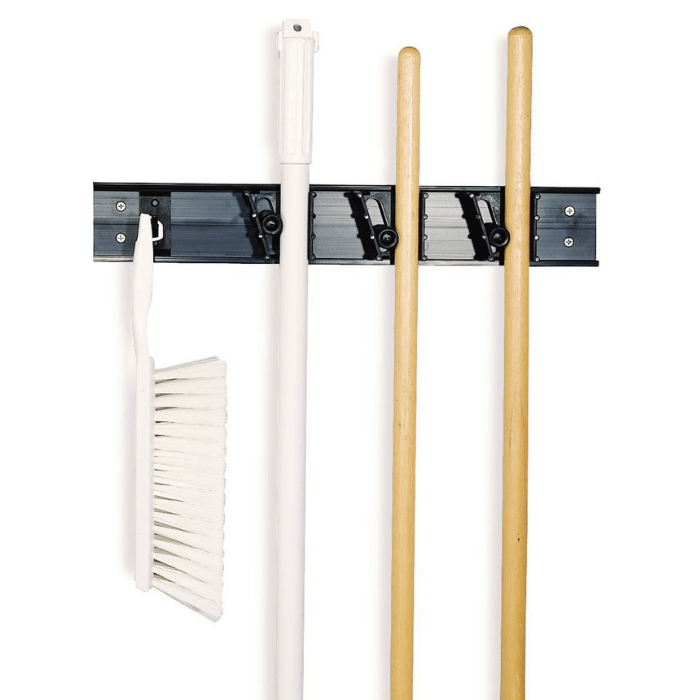 Brooms and mops are often left scattered in the utility room or garage. By the time you need to clean something, you will find the mop head too dirty to use without cleaning it first. 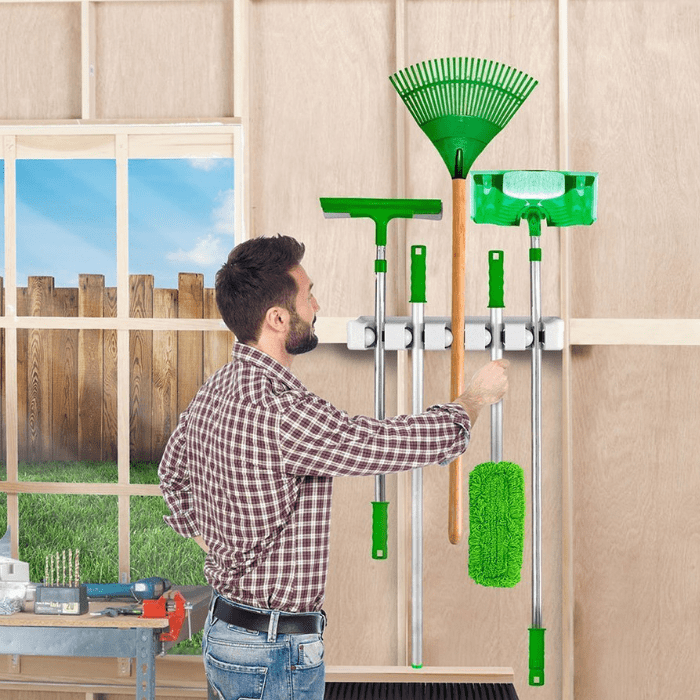 Using a broom and mop holder can help keep everything organized. 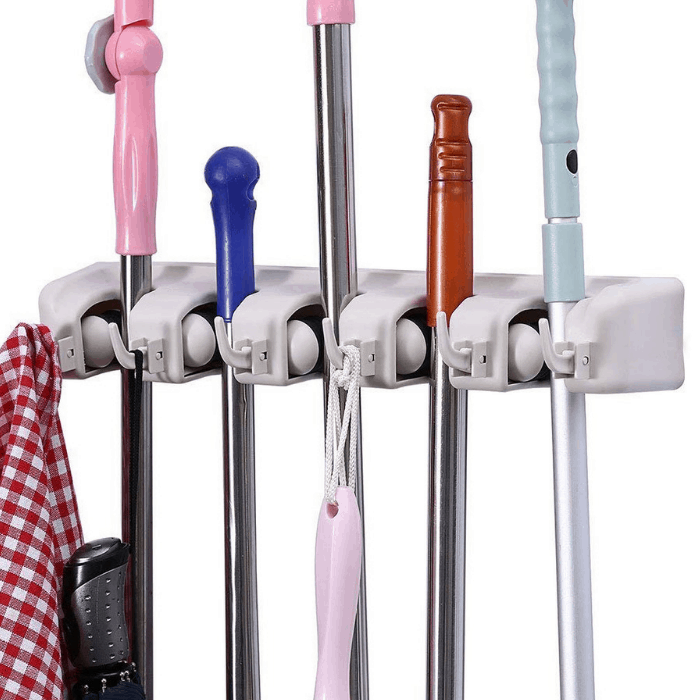 It’s also perfect for other items such as dustpans, or rakes, anything with a handle. 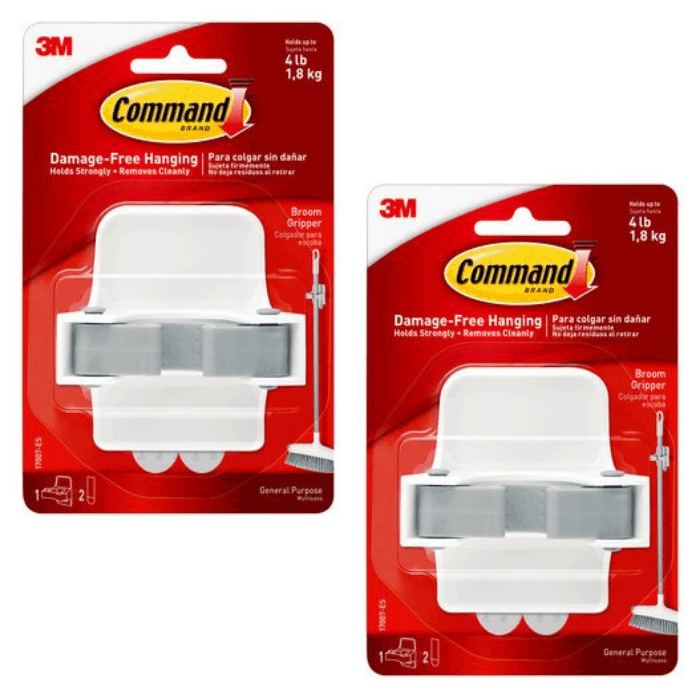 Stick ‘em to the hall closet, garage, laundry room, or utility room door. 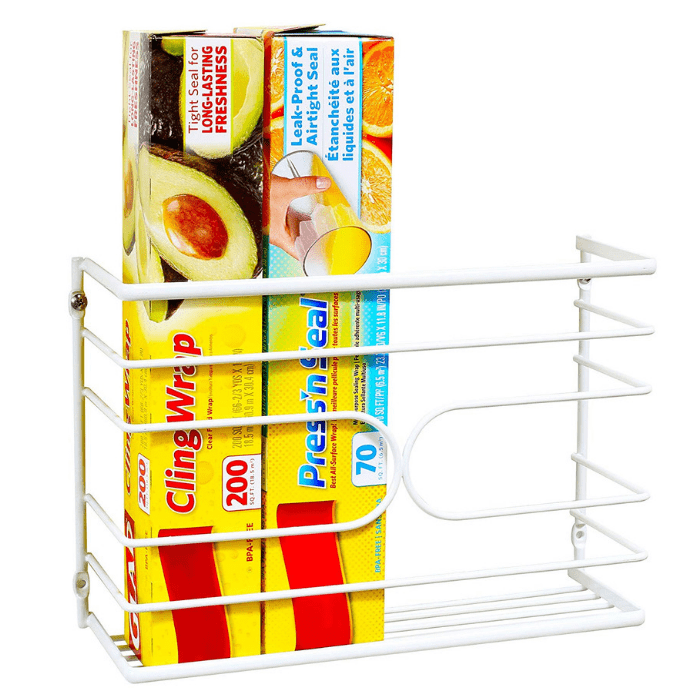 Store boxes of aluminum foil, zip locks, and plastic wraps in kitchen wrap organizers to clear out valuable drawer space. 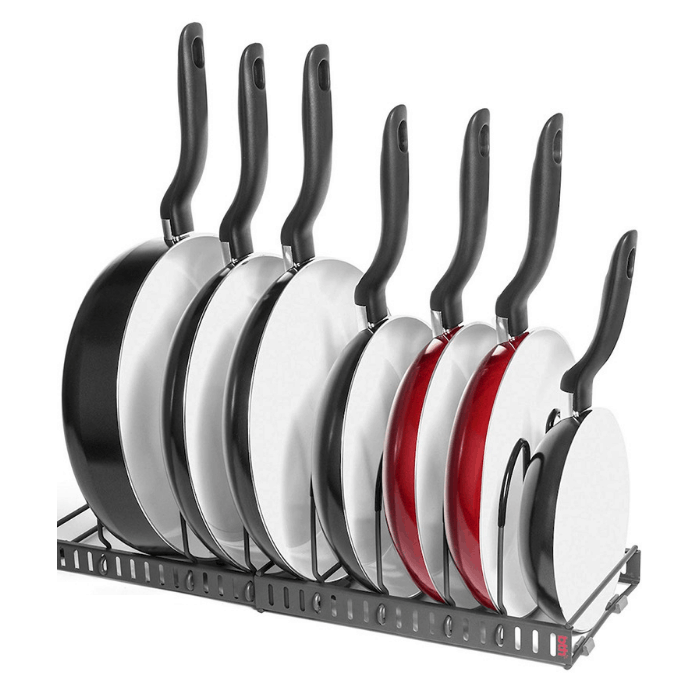 Rummaging through your kitchen cabinets just to find a frying pan or the right pot lid can be a mess… or in some cases LOUD – lol. 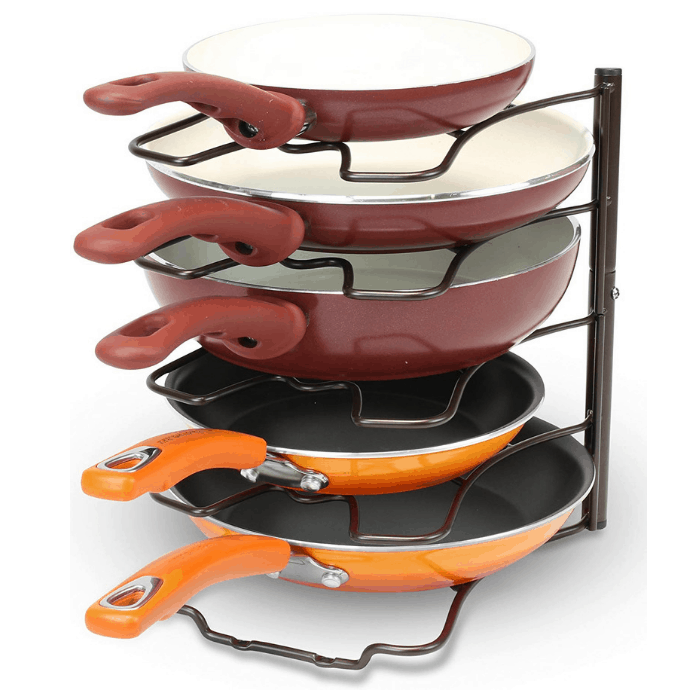 Avoid the mess and keep everything in order with a Pans and Lids Organizer. 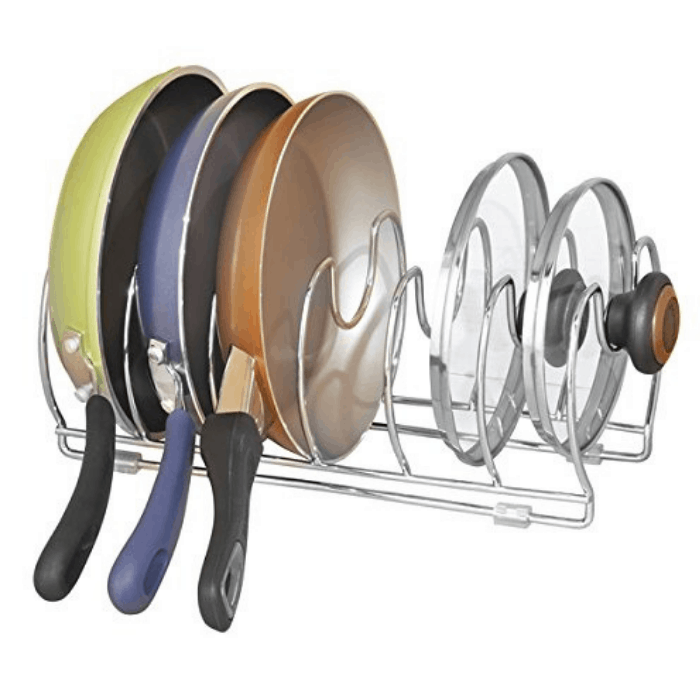 This organizer can hold up to five pans or lids. 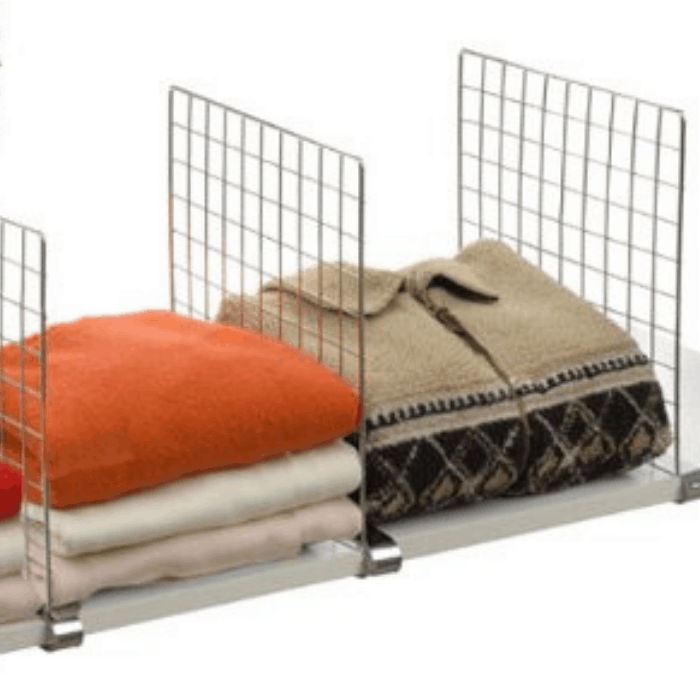 You can use a free-standing, a vertical or a horizontal rack. 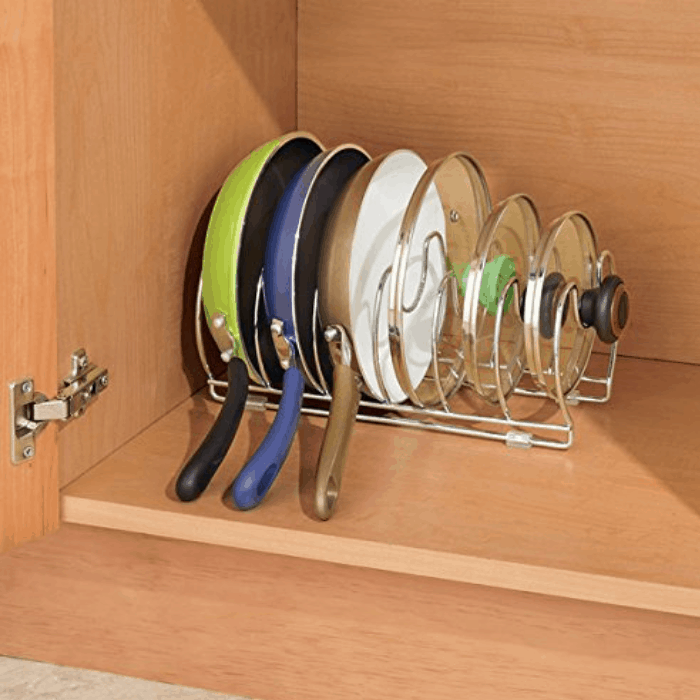 Most Pan and Lid Organizers fit into a compact kitchen cabinet with no problem at all. 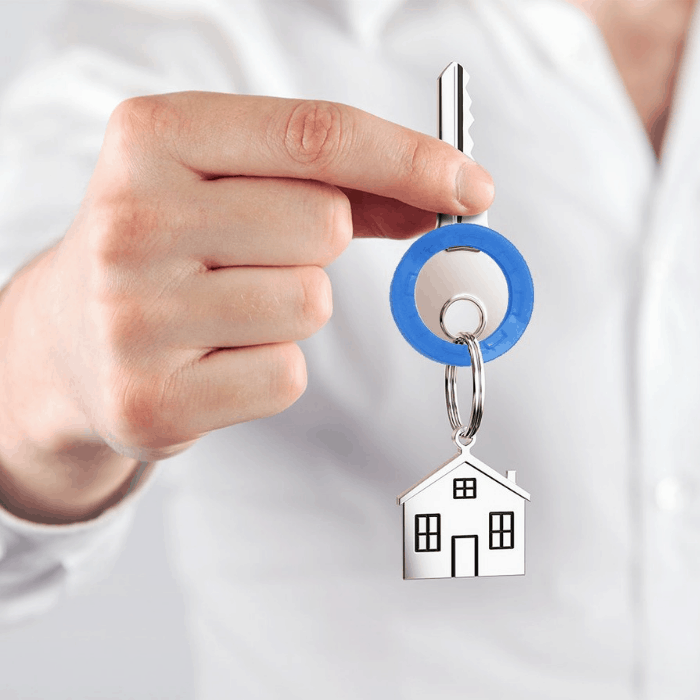 Let’s face it — sometimes, with a dozen keys on our keyring, it takes us some time to try to figure out which is the right key for the front door. 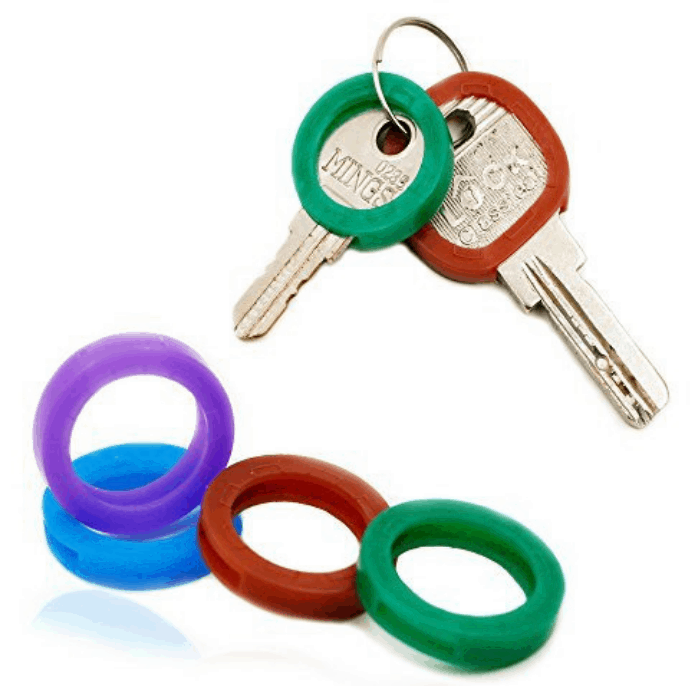 Solve the problem by attaching colorful caps to your keys. 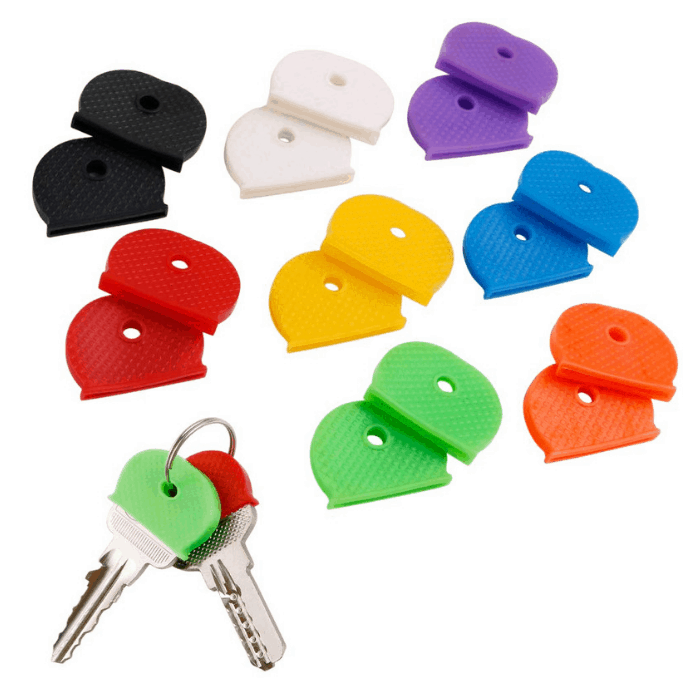 These caps can make it easier for you to identify which key goes to which door. 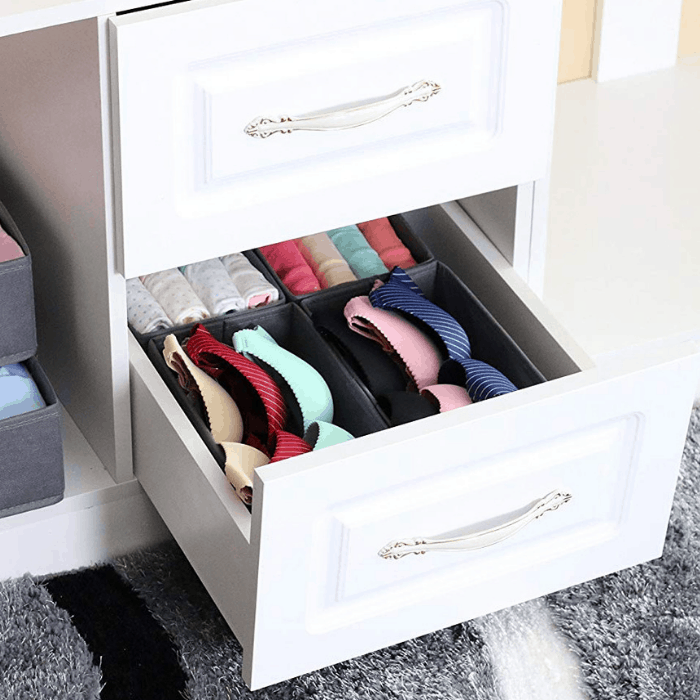 Don’t just throw your jeans, sweaters, and shirts in a dresser drawer where you have to dig through to find the right one. Plus, they take up so much space in a drawer. 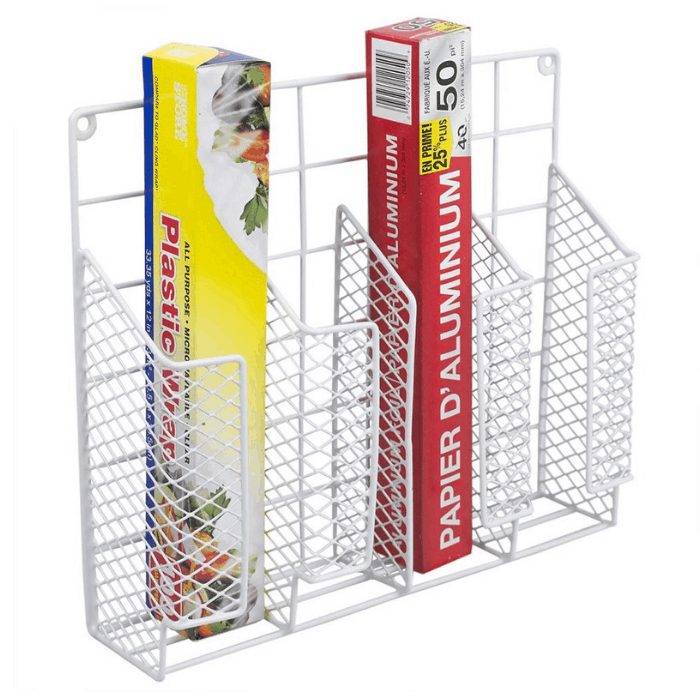 Keep them separated and prevent them from falling on the floor by using shelf dividers. 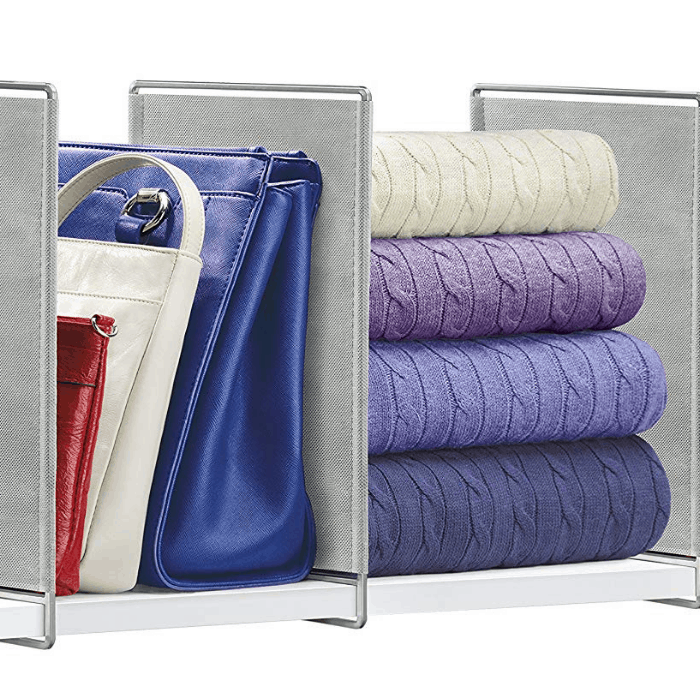 These shelf dividers can be used on your closet for your clothes or in your linen closet to store towels and linens. They’re made of chrome, or steel, they’re durable and can last for years. 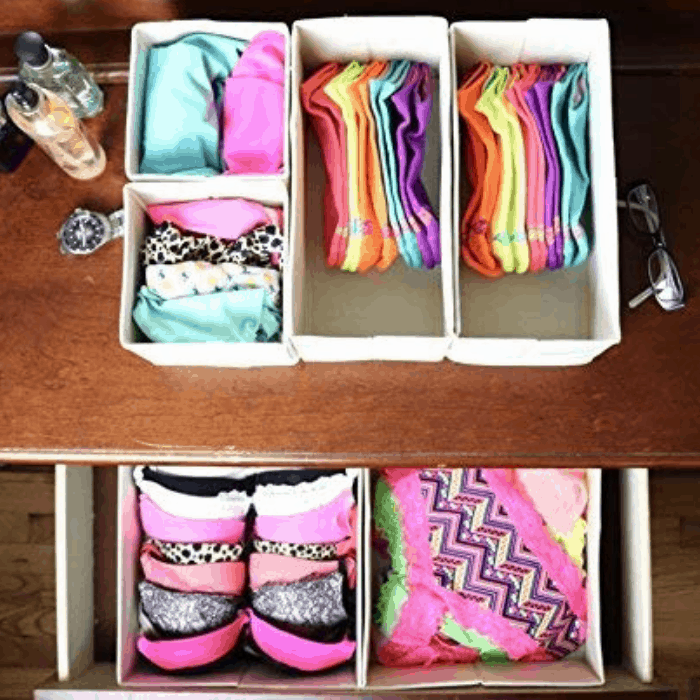 Prevent your things from being misshapen and mismatched with an undergarment drawer organizer. These organizers are handy storage units. 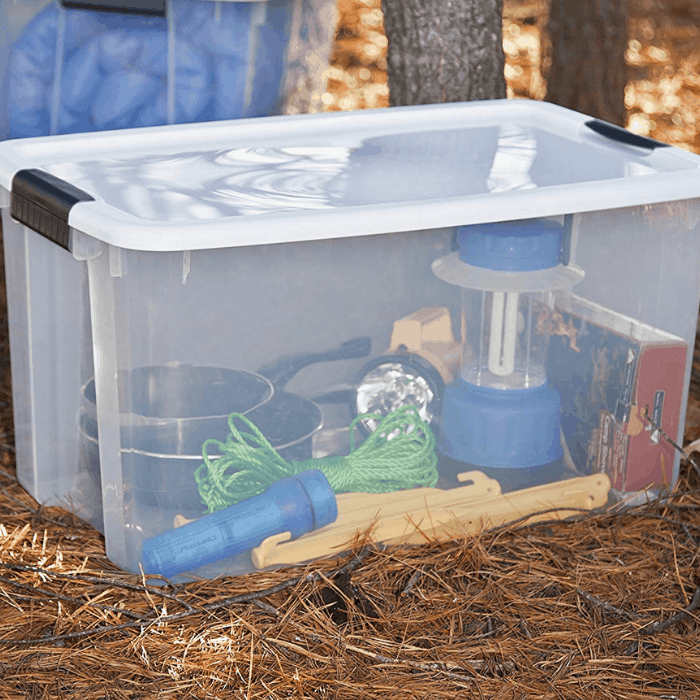 They come in fabric or plastic and can fit any closet and most dressers. 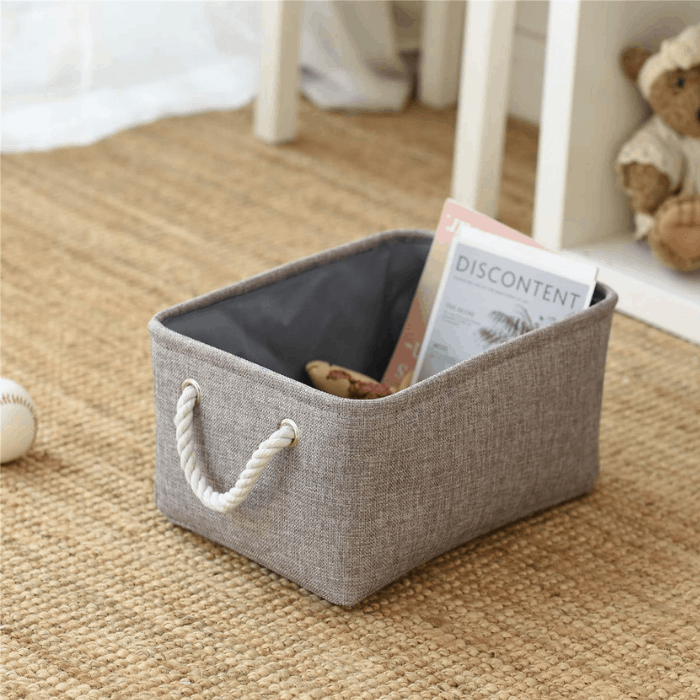 Baskets can be used to store things you use every day. We often see them, but, we don’t use them. A few years ago we switched from our ages old waterbed to a regular mattress, the one thing I thought I couldn’t do without was the headboard storage. Waterbeds always have ornate, but, practical headboards with storage. 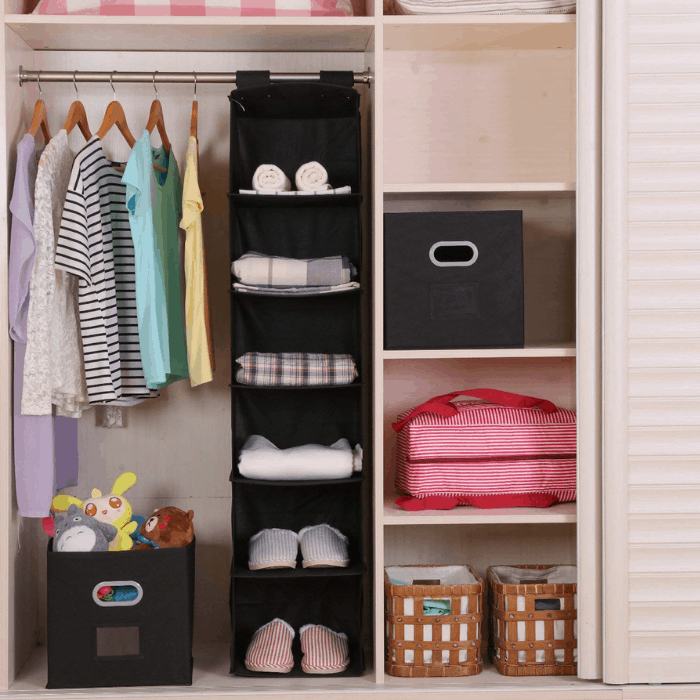 My daughter grabbed 2 baskets from my closet and filled them with all the “stuff” from my headboard and slid them onto the shelves of my bedside table… so simple, yet an effective and super quick and easy solution – I would have never thought of it! 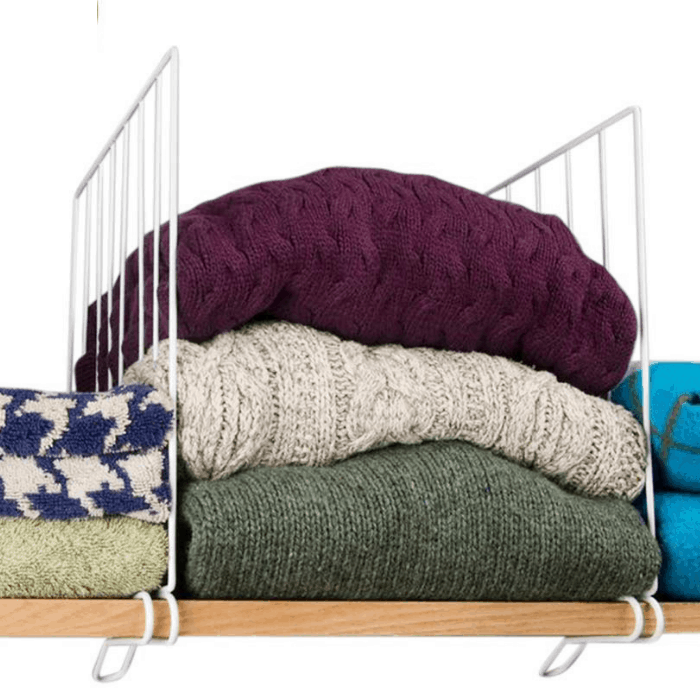 Place a basket or two in your bedroom and store extra bedding. 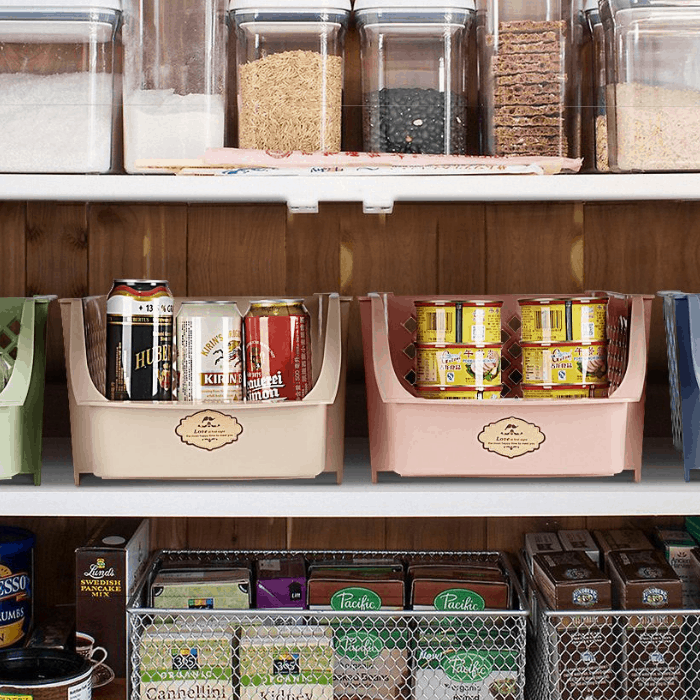 You can also place one on top of your kitchen counter to store vegetables and fruits. 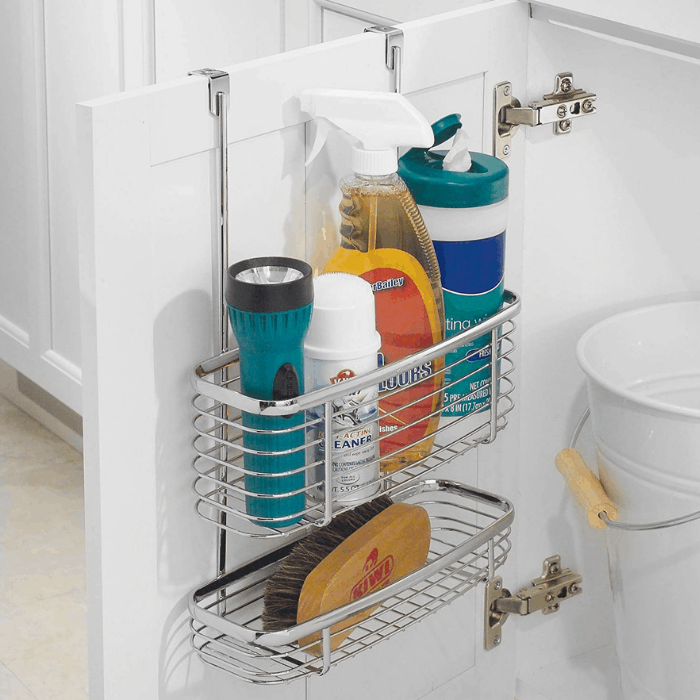 You can put the cleaning supplies you use for each room in it’s own basket and pull that basket out when you clean that room – like the bathroom or kitchen. To help you with your Organization journey, I prepared two printables for you! You may print it and stick it to your fridge or kitchen cupboards as a reminder. 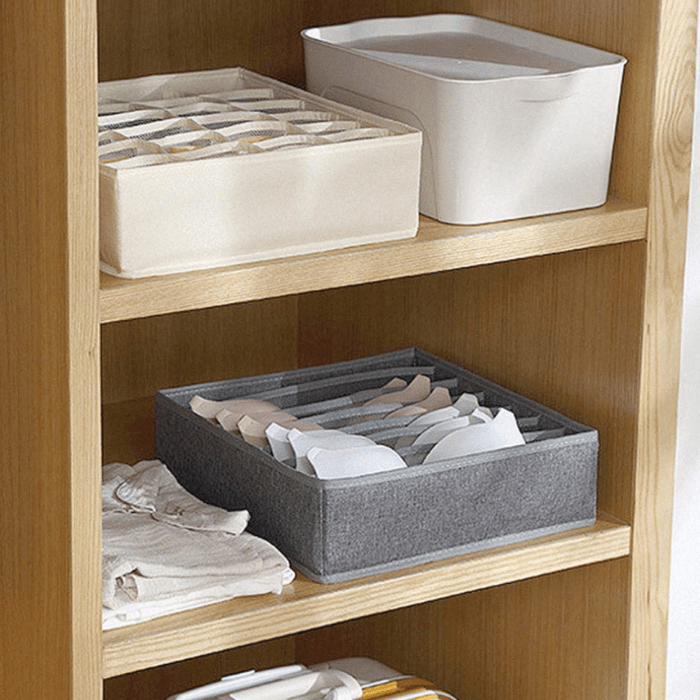 Organizing your home doesn’t have to be expensive, complicated, or time consuming. 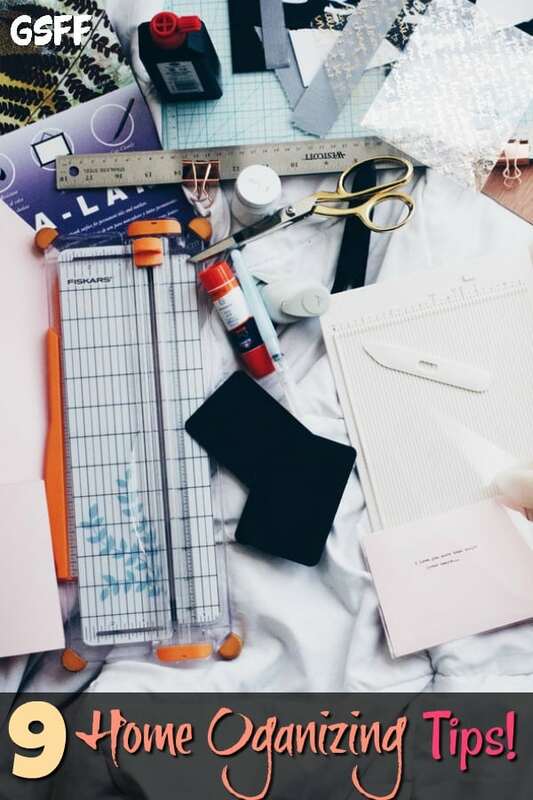 With the right tools and materials, you can transform your cluttered home into an organized haven. 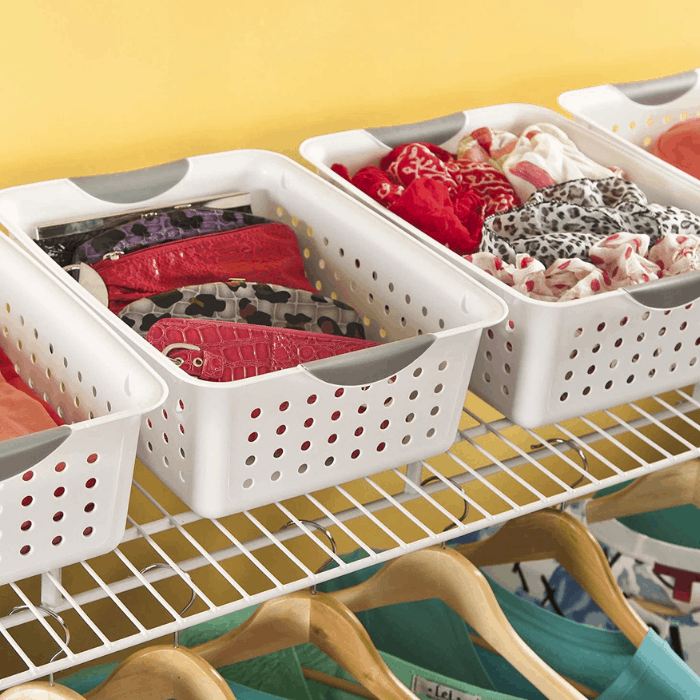 Do you have any Home Organization Tips to share? Please leave them in the comments!